I call this the best burger recipe for several reasons. One, this recipe for beef burgers is made with grass-fed beef. That makes these burgers healthier for the environment and your family since grass-fed beef is higher in CLA, a heart-healthy fatty acid. Look for grass-fed beef at Trader Joes, Whole Foods or other natural food stores. The second reason this is the best burger recipe is because these beef burgers are incredibly juicy and tasty, thanks to a secret ingredient: a touch of cream and a light brush of butter on the outside. Note: You must cook these burgers on lower heat, or they will burn. Combine grass-fed beef, grated onion, cream and pepper in a large mixing bowl. Do not overwork the beef; mix until combined. Form mixture into six burgers. Prepare grill for indirect medium heat or heat a cast iron skillet on the stove over medium-low-to-medium heat. Brush both sides of burgers with melted butter. Sprinkle with kosher salt. Cook burgers until desired doneness is reached, about 4-6 minutes on each side, depending on the thickness of the burgers. Let burgers rest 5 minutes before serving. 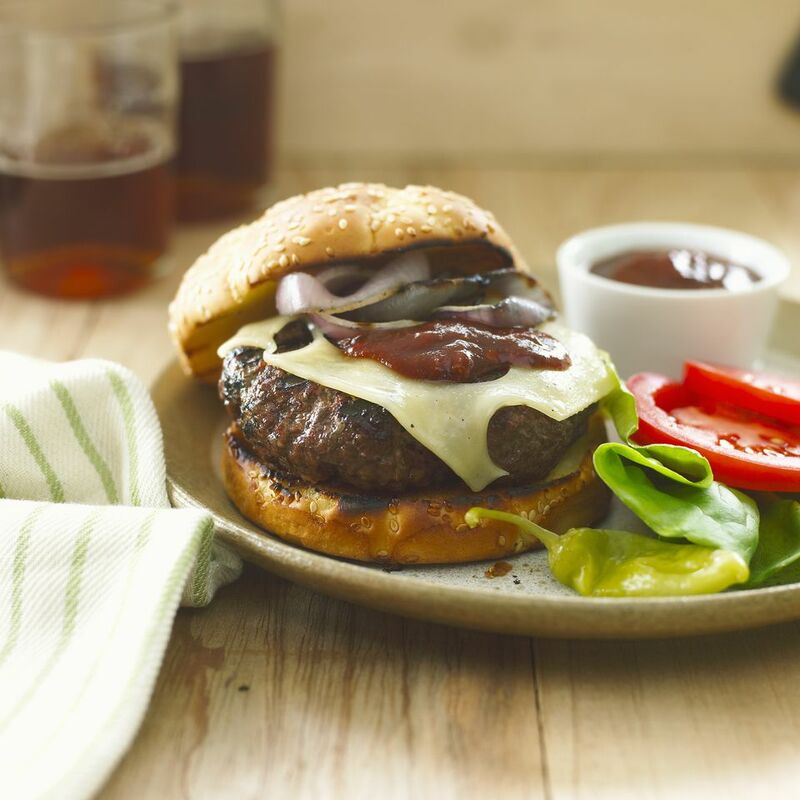 You can substitute the beef in any of your favorite burger recipes for grass-fed beef!